Whether you’re looking at fire damaged homes for sale as a fix-and-flip investment or as a way to stretch a home-buying budget, there are several things to consider before signing those final closing documents. The professionals at King’s Remodeling and Restoration see every degree of fire damage in homes and offer a few tips for buying a fire damaged house. One of the biggest pros to purchasing a home with fire damage is the price. Often these homes are undervalued. How long ago did the fire happen? If it wasn’t a recent fire and repairs have begun or have been made, the cost of repairs may be less. When an undervalued fire damaged home is purchased as a fix-and-flip, your chance for a higher return-on-investment is good, especially if any repairs can be made quickly and affordably. When repairing a fire damaged home, it’s a good time to have the various aspects of the home inspected and other issues repaired. Additionally, if the home is being gut-renovated, you’ll have the chance to make serious home design/layout changes. It’s an opportunity to make the house really your own and with the comfort of knowing it’s been properly repaired. • Location of the fire: was it small and localized or did it spread through several rooms? • How long ago was the fire? • Was there structural damage? • Is there still structural damage? These questions are just the start. The biggest cons against buying a fire damaged house are the unknowns. A house with fire damage requires a complete inspection from a certified home inspector and possibly a structural engineer as needed. An electrician should also check the home’s wiring for fire damage as well. Restoring a home with fire damage can be a big job. The team of trained professionals and King’s Remodeling and Restoration have the expertise to safely and effectively restore your fire damaged home. We can handle any fire related clean-up efforts that may remain and can begin a remediation process for smoke damage and mold removal. 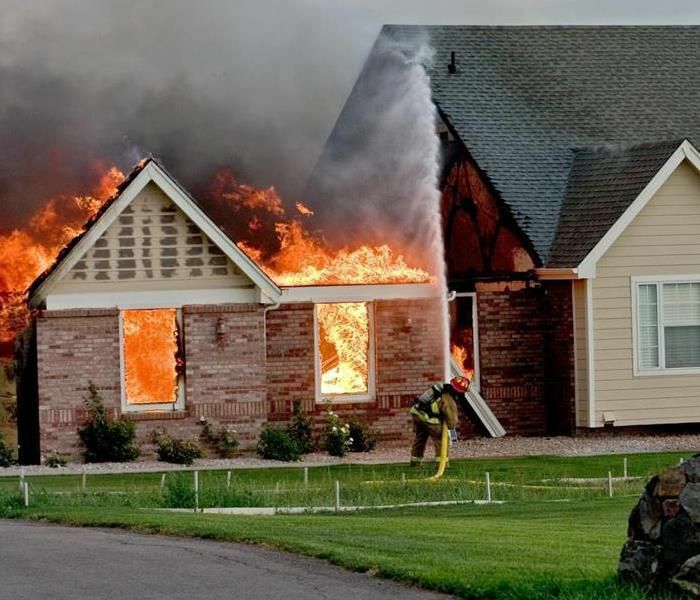 Before buying any home or property that has suffered fire damage, consider all the pros and cons, follow through with all the proper inspections and call King’s Remodeling and Restoration if fire damage clean-up and restoration is still needed.